The 80s were a strange time for tabletop games. There was a concentrated hate campaign against tabletop RPGs, culminating in the abysmal Tom Hanks movie ‘Mazes and Monsters. Meanwhile, board games were experiencing a mainstream boom, resulting in games like HeroQuest, Dragon Strike and, of course, Fireball Island: The Curse of Vul-Kar. Much like the world of video games, nostalgia in board games has become an important factor. 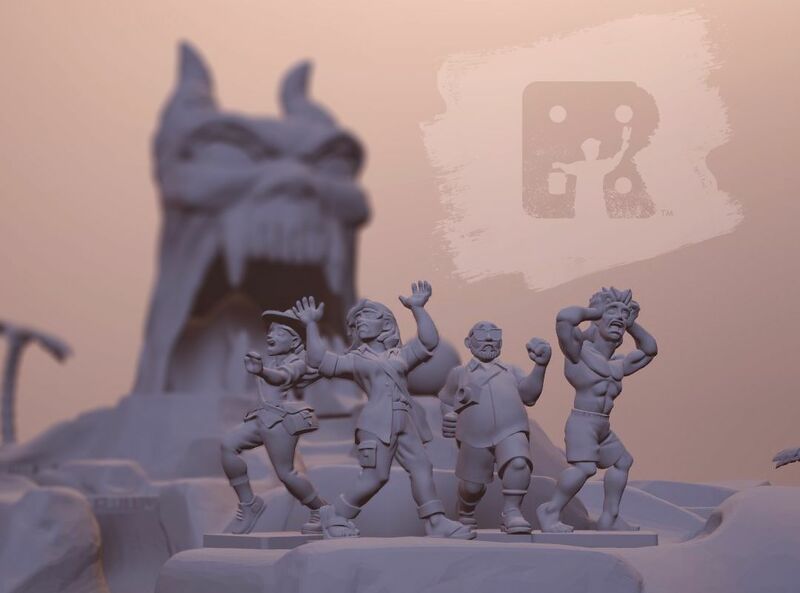 People are often calling out for their favourite childhood games to be remade (cough*HeroQuest*cough), and there’s even a company whose entire remit is remaking and releasing classic games. 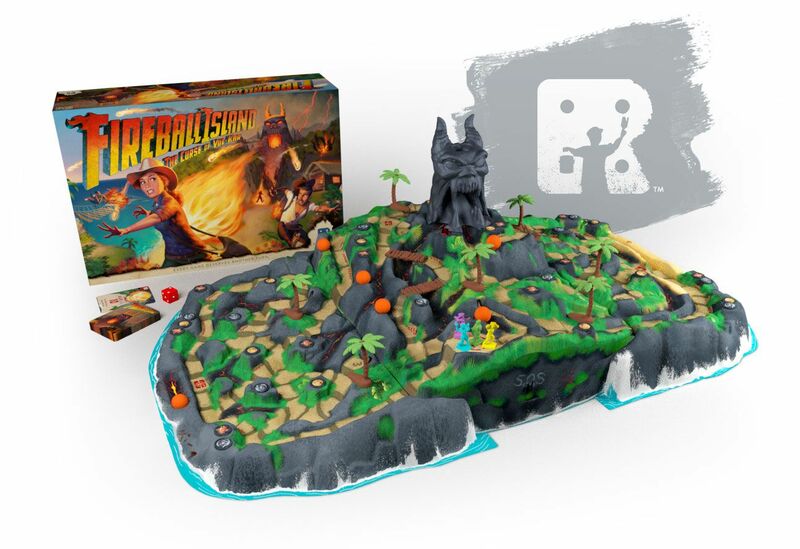 Restoration Games kickstarted the newer version of Fireball Island back in April of 2018, and it managed to hit a whopping $2,810,297. 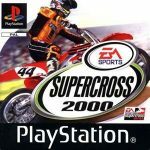 So, clearly the game has fostered some strong memories from its original run. The new version features have been tweaked to be more in line with modern gaming and to hopefully improve the game’s overall quality. 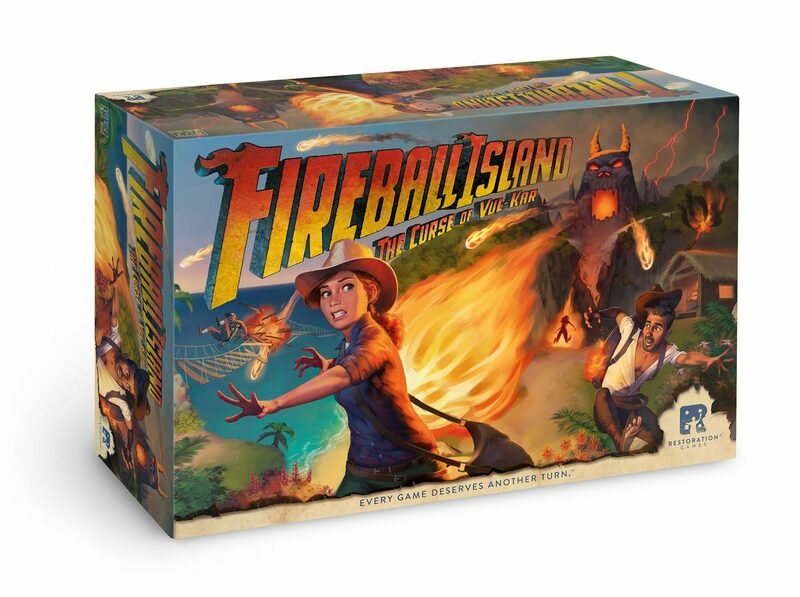 Fireball Island was originally a game designed very similarly to many other mainstream titles. You rolled your dice, moved a certain number of spaces, and tried to be the first person to reach the goal. The most striking thing about the game was the board. While most games had a standard flat board with maybe a few plastic pieces here or there, Fireball Island features a raised 3D board with moving physical pieces and a grinning demonic idol atop a mountain. The new game may have done away with the rolling to move elements of the game, but if anything, the board is even more striking than before, albeit a little lighter and made of plastic instead of the cardboard fibre of the original. The new version is very similar in size but manages to come in a much smaller box because the board is split into three separate pieces instead of one huge thing. Fireball Island’s other huge attraction back in the day was the fact that it features active gameplay. Every so often you have to drop plastic balls into the idol head and roll them down the board, knocking over players and generally causing mayhem. The new version also features plastic palm tress that can be employed to divert the balls in different directions. The old reliance on dice rolling has been mostly done away with in Fireball Island. Instead of rolling dice to move, you now have a hand of cards that feature a different number of possible moves, as well as secondary actions or effects. Obviously, this is a much more preferable situation to the last game, allowing players to form strategies based on their cards instead of relying entirely on the luck of the dice roll. The action on the cards also feature the ability to rotate trees and the idol head to change were the balls are likely to go when they drop. This introduced another important element of strategy, allowing players to protect different pathways that they might be using. 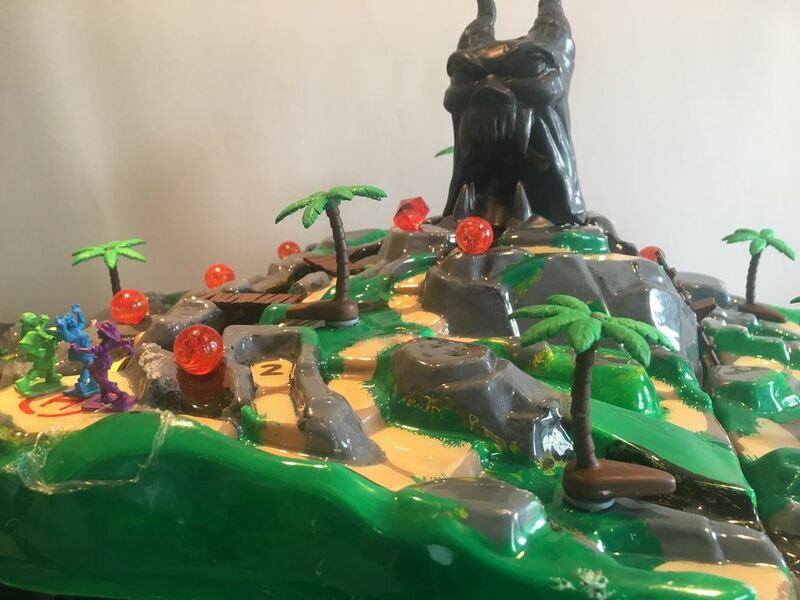 The main goal of Fireball Island is to climb to the top of the mountain, avoiding fireballs, grabbing treasure and trying to get the precious gem that sits in front of the idol of Vul-Kar, then you must escape by jumping onto the helicopter that dropped you on the island in the first place and hope that you’ve gained more points than the other players. Again, the move away from a single goal, namely grabbing the gem, to a score-based system adds a bit of variety to the gameplay. 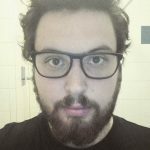 Now, instead of all going after the game goal, there are several different things players can do to earn points if it looks like someone else will get the gem ahead of them. That isn’t to say that Fireball Island hasn’t got its problems. There is still some reliance on luck, such as rolling dice to move between the different cave spaces, or the luck of not being hit by the falling fireballs. The worst part is that there are rules about skipping turns when a character is knocked over by the board vibrating. Considering how light the bloody thing is, you’re going to spend a lot of time skipping turns. It’s not the end of the world, mind. Fireball Island doesn’t take all that long to play, depending on the number of people playing the game. The artwork is also really nice to look at. Despite the issues with the lightness of the plastic board, it does allow the colours to be a lot more striking. There are also some extra elements, such as token holders and game trackers, which are all well themed around the desert island design of the game. Overall, the game is super simple but has certainly been improved over the original title. It makes a nice game for an evening playing with people who might not be into complex titles or even younger players. At the end of the day, it’s always going to be fun to play a game where you have to try and knock down other players by flicking marbles at them. Fireball Island: The Curse of Vul-Kar is a pretty classic game that has seen some much needed revisions in this modern re-release. 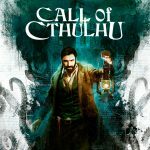 The reliance on dice rolling and RNG has finally been dispensed with to provide an experience that is simple enough to be picked up easily but that allows the players to come up with a strategy instead of leaving everything up to luck. Obviously, the game isn't the deepest and isn't something that a lot of people will be clawing to play over and over again, but it's fun enough, and let's be honest: Who doesn't want to flick plastic balls at their friends?